We understand how frustrating it can be to feel like you're constantly getting out your ladder and tools to fix minor leaks, storm damage, broken tiles or lifted sections of corrugated steel. 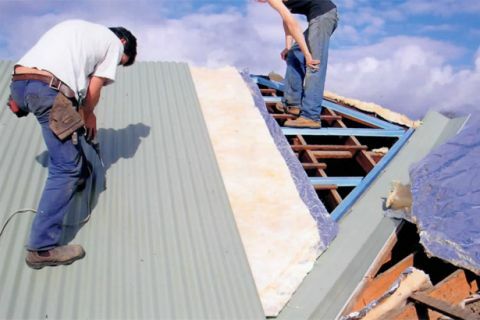 That's why we offer affordable rates on professional roof repairs for homes in Boronia. Call us any time and our team will come to you to diagnose the problem, make recommendations, and carry out any work that's necessary to get your property safe, secure and looking good again. Our highly trained team have decades of combined experience, as well as strong training and fantastic product knowledge. Choose from a wide range of high quality materials including Colorbond steel, which can be colour matched to suit your requirements. We even work with traditional slates and tiles, offering high pressure cleaning amongst other services. You'll also get a ten year warranty on workmanship, so you can hire us with confidence you're making a great investment in the future of your home. For more information or to get your free quote, call us now!